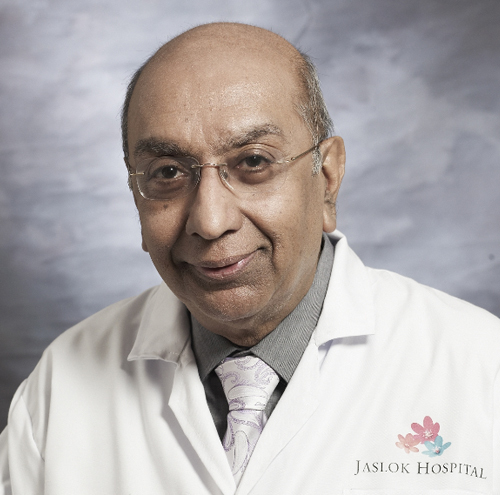 Presently working as a Consultant Dermatologist at the Jaslok Hospital & Research Centre, Mumbai from October 1978. He has done research in HIV/AIDS along with a department of molecular medicine & biology at jaslok hospital mumbai. Al Amal Medical Centre, Muscat, Oman from 1996- 2005. Restarted March 2008. Timing : 3pm to 5 pm. Importance of Molecular Diagnostics in HIV Detection and Drug Resistant Phenotypes in Indian Population Daswani B, Rane N, Malkani Ram, Harjani R, Potdar P.
Department of Molecular Medicine & Biology, Jaslok Hospital and Research Centre, 15, Dr.G.Deshmukh Marg, Peddar Road, Mumbai 400026, India. Conducted Phase III drug trails of Azithro mycin for Pfizer India & Mofloxacin for Bayer India. Conducted research projects on Acne, Hirsutism at Jaslok Hospital & Research Centre. Conducted Research on Acanthosis Nigricans, its relation to PCOD & hyperinsulinemia at Jaslok Hospital & Research centre. Conducted Research on multibacillary Leprosy patients, comparing prophylactic cortisone treatment alongwith anti leprosy treatment to prevent nerve damage versus giving only anti leprosy treatment. A 4-year study in 40 untreated cases of leprosy at the Jaslok Hospital & Research Centre, Mumbai. Ongoing research at the Jaslok Hospital & Research Centre, Mumbai to study the prevalence of drug resistance in HIV patients, both drug naïve and those on treatment developing immunological, viral or clinical failure. Teacher And guide in Dermatology for Diplomatic National Board, New Delhi. Presently two students, their thesis subjects - (a) Psychological profile of patients of lichen planus, lichen amyloidsis & Acne excoriee. A study of 50 patients & comparision with normal controls. (b) Female pattern hair loss. A study of 50 patients, their tricholgram use, hormonal profile & demographic data. Histopatholgy carried out in severe cases only. 2nd National Conference on HIV/AIDS Therapy	10th and 11th Jan, 2009,Grand Hyatt, Mumbai. Authored papers and columns in publications on Dermatology, STD, HIV in India's leading medical and beauty related journals. Authored a chapter on ‘psychocutaneous diseases’ in the textbook, the first Edition by the Indian Association of Dermatologists, Venreologists, Leprologists. Editor Valia & Valia. Clinics in countries outside India - Muscat ( Oman ) for 8 yrs monthly visits for two days each visit. Dubai. Undergone psychoanalysis for 15 years. Initially 5 times a week for 5 years then, 3 times a week for 10 years.